S&A Homes has a rare opportunity for you! 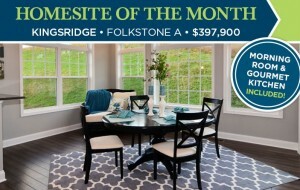 Purchase our home site of the month at the new community of Kingsridge, and you can save thousands! 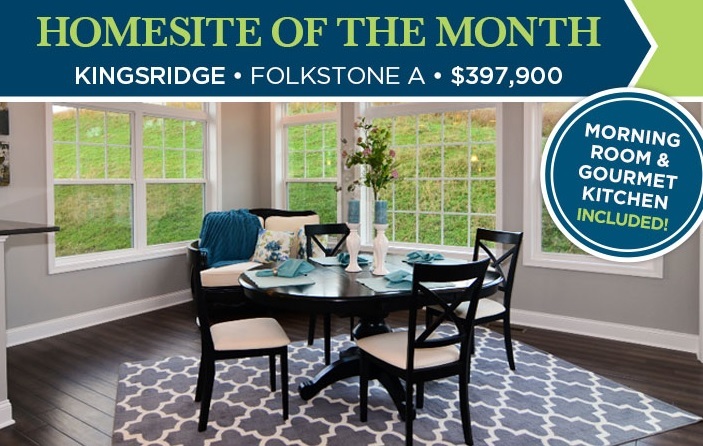 Located just minutes from the heart of Cranberry Township in Mars, PA, build your brand new Folkstone A on a half acre home site for just $397,900. Live Minutes from PSU – Without the Wait! Snagging a home walking distance from PSU can be a rarity these days due to high demand and low inventory. 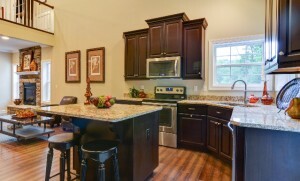 Living close to town is ultra-desirable for those who have a job on campus or anywhere else in State College, PA. But snagging new construction without waiting for the six to nine month completion time frame is even more of a rarity. Pittsburgh Model Home Grand Opening is This Weekend! 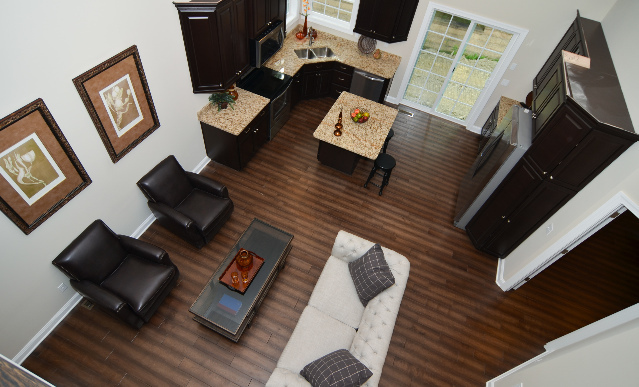 A growing trend among home buyers these days is the need for a first floor owner’s suite. What used to be a 55-plus community feature is now trickling down to all segments of the market, whether it be suitable for a first time buyer, single professional or even families who prefer to have a friendly spot for guests and grandparents. 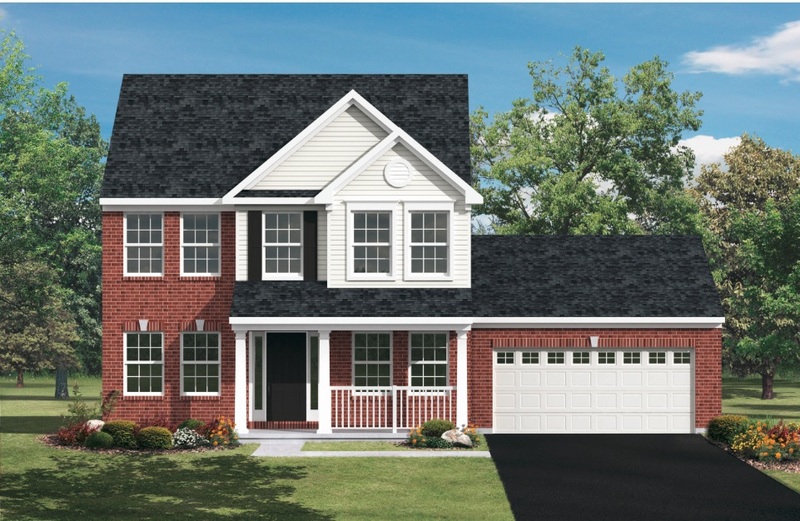 Whatever the reason may be, perhaps no floor plan in the S&A Homes line up better embodies this feature than the Wakefield home, offered in the Cranberry Township based community of Foxmoor. 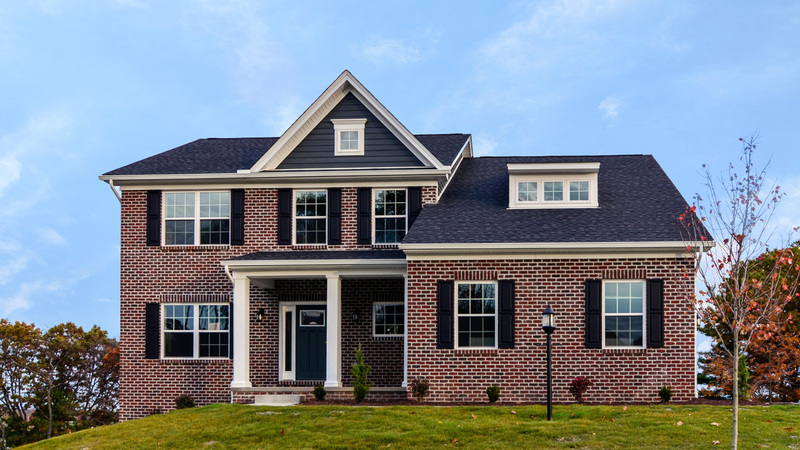 This Saturday and Sunday, June 20 and June 21, anyone thinking of purchasing a luxurious home with a first floor master won’t want to miss the grand opening of this popular floor plan. Brand New Community Now Open in Toftrees! Those seeking the charm, convenience and affordability of State College’s popular Toftrees community are in luck this month. This week, S&A Homes opened Honors Crossing for reservations. The new community, located just off of Toftrees Avenue and only 1.5 miles from Beaver Stadium, offers an affordable oasis for home buyers in the State College, PA area.